A documentary film produced, filmed, edited and directed by Norio Ogikubo. You can watch “Prenatal Memories of Children” on VImeo! This documentary film explores the themes of prenatal memories and Parenting. “Prenatal memories” refers to the children’s recollections from the time that they were inside their mothers’ bodies—as well as from an even earlier time. It is said that children are able to access such memories between the ages of around two and four. In this film—which has neither music nor narration—the camera carefully captures interviews regarding prenatal memories, as well as Parenting scenes. It is our hope that viewers will put aside any prior existing conceptions to watch our film, which portrays researchers, educators, and doctors. By inviting our audience to watch with fresh eyes, we thereby aim to provide a space for our audience members to consider, also with fresh eyes, the relationships with their own children, as well as any other children in their lives. We welcome viewers who are familiar with the concepts of prenatal memories and past life memories, as well as those who may have never before encountered such concepts. We hope that our honest portrayal will uncover something important for each and every individual who watches the film. Doctor Akira Ikegawa runs an obstetrics and gynecology clinic in the city of Yokohama, Kanagawa prefecture. He is also a leading researcher in the field of prenatal memories, and travels regularly around the world giving lectures. In the film we also see early childhood education experts Yumiko Tobitani and Chikako Kagami recounting their experiences of encountering children who describe their prenatal memories. 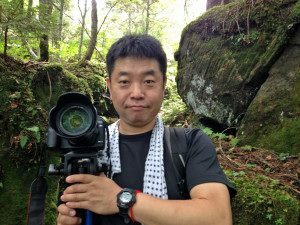 The camera additionally follows Dr. Ikegawa and Chubu University Professor Masayuki Ohkado as they conduct interviews regarding prenatal memories. Viewers are thereby invited to join the researchers in imagining how the interpretation of such memories affects the bonds between mother and child, as well as between siblings. Born in Tokyo, Japan in 1954. Established the Ikegawa Clinic in Yokohama in 1989. In 2003, presented the report “Nurseryschool Children’s Memory During the Fetus Term and/or the Delivery Term: Investigated by a Questionnaire” at the XVII FIGO World Congress of Gynecology and Obstetrics, in Santiago, Chile. Today I hope to help people lead meaningful lives through childbirth. 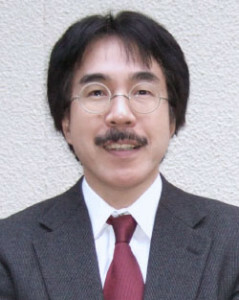 Ohkado is currently Professor of Chubu University in the Division of English Education, Faculty of General Education and Visiting Professor at the University of Virginia in the Division of Perceptual Studies, School of Medicine (USA), Permanent Member of International Society of Life Information Science and Director of Society for Mind-Body Science. Fields of Specialization: Linguistics, Parapsychology Subjects of Interest: relationship between the brain and consciousness, origin of language, issue of spirituality, children with “past-life memory” and “prenatal memory.” I want to approach the issue of the soul from a scientific perspective. 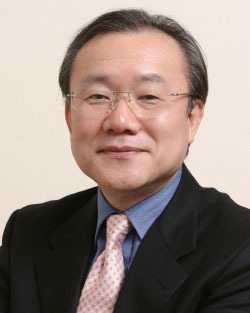 Born in Tokyo, Tobitani is Representative of the Tobitani Institute of Children. 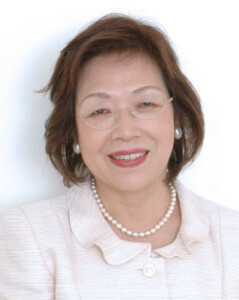 At Shichida Child Academy with Shichida Makoto, she worked on developing educational programs including the “Dot’s Program,” “Right-Brain Rapid Calculation System,” and “Wave Speed Reading.” In 2005, she established the Tobitani Institute of Children. Focusing on the teaching of infants and children, she has been developing unique educational programs for a wide range of people from babies in the womb to adults. Her book co-written with Ikegawa Akira titled, Okaasan, okosan wa anata ni ai wo todokenikimashita (“Mom, Your Child Came to Bring You Love”) (Gakken) is receiving much attention. Kagami is Representative of Infant Class HOKUTO / HOKUTO Junior Seminar, born in 1965 in Gifu Prefecture. She is currently engaged as a nurse in obstetrics and gynecology and emergency medical care. In her twenties, she became a board member of an advertising agency. After giving birth to two children, she started the Japan Brain Power Development Association, and established the Prenatal Training Department, Infant Class Department, and Juku Department. Having been involved with 8,000 parents-children, she directs personal pattern recognition studies such as improving academic ability, counseling, and coaching. She is currently giving talks and seminars in areas such as parental education, companies, hospitals, student development at schools, and business performance improvement seminars. 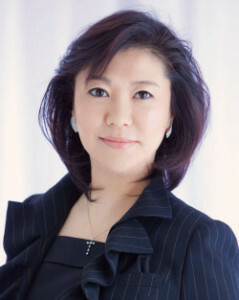 She is the author of a book titled, “Uchi no kotte doushikounano?” no nayamigakieru! (“Your Worry of Why Your Child is the Way They Are Will Disappear!”). I don’t feel like I made this work. I must’ve completed it guided by some higher power. I want to remind everyone that you are loved by all and were blessedly born. You were also born to help the mother you chose and serve others. When you listen carefully to the voices of babies and children, you will come to see the shortest route to happiness. Even in those of you who feel alone, there is in fact an innocent child residing. Therefore, I hope to excite you and that you resonate with the children of the film. Also, I hope that you share kind feelings with and hug the children close to you and within you. The voyage to widely convey all the precious thoughts of everyone who cooperated, including the teachers and children in the film and others who helped shoot and produce it, is just beginning. This film was made of course to entertain but also to provoke each viewer to think and feel about many things from their various positions. I, of course, wanted to screen the film at movie theaters and independent film festivals, but this was because I thought that many conversations would take place between the viewers afterwards and various information useful in real life would be shared. That is, of course, not only direct conversations but also throughout the Internet and communities. I have a favor to ask of those who will see my film. After watching the film, please post your thoughts and impressions, even briefly, below. Please see us off on our voyage so that our film may cross the great seas as the ripples of your impressions spread.